A wide variety of hormones, neurotransmitters and growth factors exert their cellular effects by reacting first with membrane receptors resulting in an increase of intracellular calcium and the cellular response. 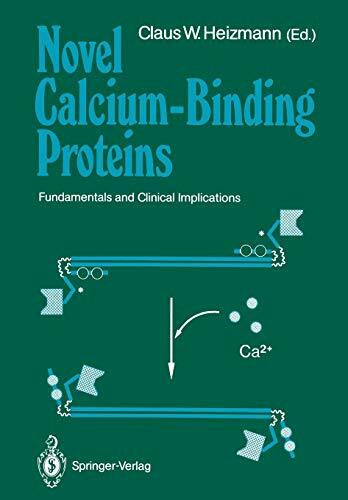 The calcium signal in the cell is mediated by the high-affinity calcium binding proteins (characterized by the EF-hand structural element), and by the calcium and phospholipid dependent proteins. Many of these have been discovered most recently. Their purification, distribution, protein and gene structures as well as their physiological roles are discussed. The book is of interest to biochemists and molecular biologists as well as to clinicians and the pharmaceutical industry who can apply the results in this field.